Wanting to get your hands on budget friendly eye primer? Having oily lids and want your eye makup at its place for a long time? Meet MUA Professional Eye Primer ! If you've never used an Eye Primer before, now is the time to invest. Basically, it smoothes the eye lid ready for eye shadow to be applied. It also creates a base, helping the eye shadow last all night long - no more creases! You can sleep all day and party all nigh with the help of the Eye Primer from MUA, just pop it on the top of your eye lid, pat it in gently and apply your eye shadow directly on top of it. Being an oily skinned person I also have oily lids too and my eye makeup never stayed there on its place after 2 hours and started getting tone down and creases and then completely fades away if not applied underneath an eye primer. When I bought my Urband Decay Naked Eye Palette , the famous Urban Decay Primer Potion came with it, since then I was using that religiously but since then I came to know about MUA Professional Eye Primer to be honest I was not expecting it to perform like my UDPP or any high end brand. But when I used it for the first time it blew me away by its performance and I was like why the heck I did order only one piece, I should've order more then one. I am not saying it is as good as UDPP or other high street brand eye primer but it does its job pretty well and does what it says. As for the packaging, the product is housed in black opaque tube with that same doe foot applicator. Inside of it, you get 7.5ml product which is enough ti be with you for a while. 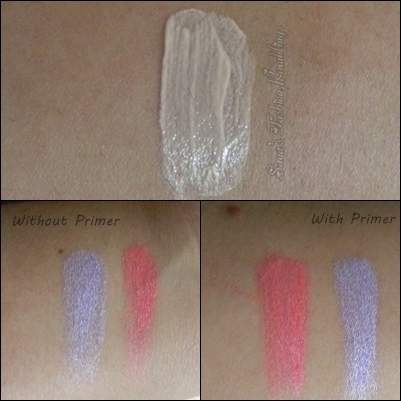 If consistency of the primer concern its creamy but not greasy at all and spreads out evenly on eye lid effortlessly by providing a great smooth base for eye shadow application. Its better apply a thin layer of primer and blend it. Wait for few seconds and let it set then apply eye shadow. You will flaunt it. Blending of an eye shadow having primer underneath primer can be bit difficult and problematic but also quality of eye shadow creates an impact too. Blending with primer takes sometime and but it surely extend life of your eye shadow as well prevent them from creasing and fading away for about good 5-6 hours. I do notice that my eye makeup started fading away but it was barely noticeable obviously being a drug store brand it can't prevent 100% creasing but barely noticeable fading or creasing is not bothersome for me as it does intense my eye shadows and my eye shadow become more vibrant. Overall, I'd like to say its a GREAT purchase if you wear makeup particularly eye shadow lover and don't want to get your hands on high street brands I must tell you to give it AT LEAST a once shot. I am sure you won't be disappointed. 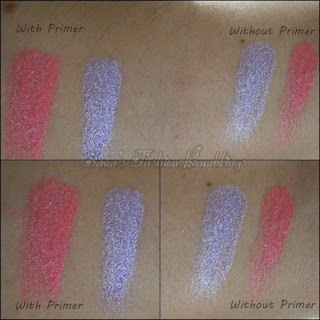 You are looking for budget friendly eye primer. Want to make your eye shadow lasts longer. Want to enhance your eye shadow color. You want to get a primer for every day use. You want to have a nice smooth base for eye shadow application. You don't like doe-foot applicator. You want your eye makeup lasts all day long. You don't like its interruption while blending out your eye shadow. 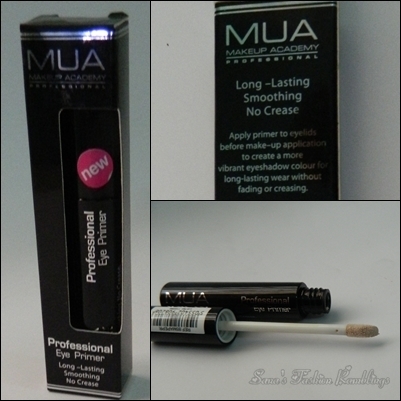 MUA Professional Eye Primer costs you 2.50£ and I've got mine from MUA Official Website as they ship worldwide. 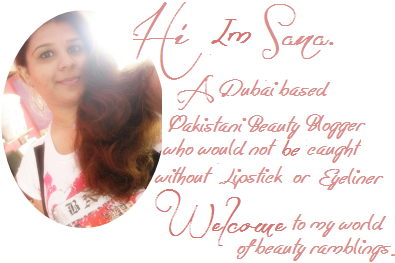 You can also get it from Just4girls.pk as they are MUA official retailer in Pakistan and they ship nationwide. 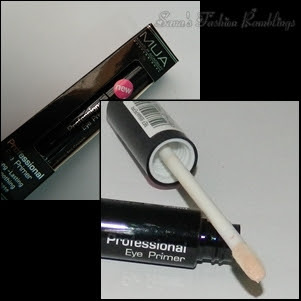 Have you tried MUA Professional Eye Primer? What do you think about it ? 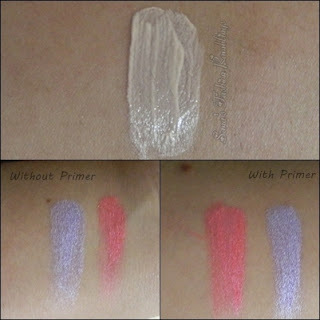 9 comments on "MUA Professional Eye Primer [Review&Swatches]"
This sounds like a really great product! What a wonderful review - thanks! I have this, if I'm honest I don't use it much as I don't really wear too much eye make up but at that price its handy to have in your cosmetic collection! I like this, I have used it for some time and I think its brilliant value. Its not the best, but it is worth trying. I don't get on too well with UDPP, its too hard to blend but I do love Too Faced Shadow Insurance. That is the best out there in my opinion! Great review but I'm sorry I couldn't see much difference between using it with primer and using it without, they both looked the same to me.